Slioch is a detached cottage less than two miles from Staffin on Skye. 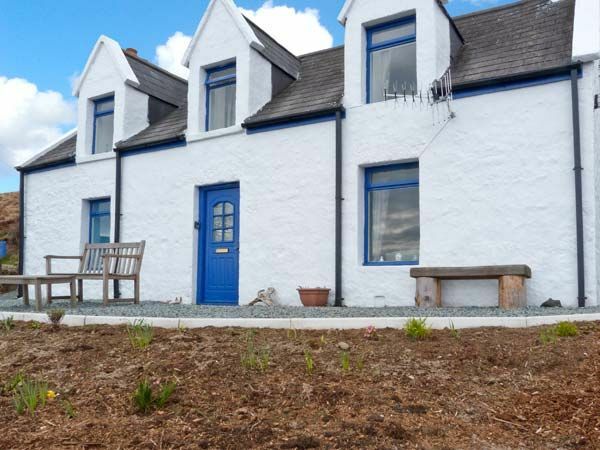 The cottage has a double, a twin and a single room on the first floor, and downstairs, a bathroom, kitchen with dining area and sitting room with open fire. Outside is off road parking and a front lawned garden with gravelled patio overlooking the sea. Slioch offers easy access to the island's walking routes, crofting villages, coastal scenery and more. Slioch - A holiday cottage in Highland, Scotland. Book your next beach holiday through British Beaches.